The Violin Shop: Rosin - clearing the dust! Rosin is an absolute necessity to a string player. Without it, we wouldn't make any sound at all, so learning how to use it, and which kind to use, is essential! When it comes to rosin, for any string instrument, there are two basic kinds: light and dark. Light rosin is usually lighter in color (this is not always the case, especially with cello rosin), and it is a bit harder than dark rosin. Light rosin can be a better choice in the summer, or in warmer climates, because it takes a little more heat and humidity to soften it. Dark rosin is a great choice in the winter because the softer rosin will provide a little more grip on those cold, dry days. As I mentioned before, the world of rosin can be extremely overwhelming! There are so many different kinds, so many different prices, how do you know which kind to use?! Dear reader, I am here to help! I am a bit of a rosin freak, so I have tried a lot of them. I am also lucky enough to work with a cellist, Megan, who has the same, shall we say, affliction, so we tend to compare notes on our rosin finds! Let me first say that cheap rosin is just that. Cheap rosin. Those little cakes of it that you get with the factory made instruments? The ones that you find for one or two dollars? Yep, those are the ones I'm talking about. They are harsh and raspy sounding and don't really grip all that well. Just pass on by and expect that you are going to be spending at least $10 (sometimes a great deal more!) on a good cake of rosin. Actually, that's okay, because, unless you drop it and break it into a million pieces, a good cake of rosin will last a long time! It is actually money quite well spent considering how much of an influence it can have on your sound. Some of the differences that you will find with rosin are tone, amount of dust created, amount of grip, and clarity of sound. All of these things are important to a player but, luckily, we all have different ideas of the ideal (that's what makes music so exciting!). Some rosins are designed to go along with a certain brand of string (think Obligato rosin for those who use Obligato strings), I haven't noticed too much difference with that, but maybe the rosin is designed to amplify the qualities of the strings that are being marketed (warm and mellow or bright and soloistic). First of all we have to mention W. E. Hill and Sons rosin (Hill rosin for short). This has been the industry standard for all around, good quality rosin for decades! It is good. There is no question about it. If you are just dipping your toes into the world of rosin, this is a great place to start! From here I will just jump to some of the rosins I have tried that really stand out to me. A few years ago, I received a sample cake of a new brand of rosin called Melos. I kind of chuckled to myself wondering how different it could possibly be, but I have to admit, it was the first time in my life that I remember saying "Wow, this really IS different!" It had a wonderful, warm, strong sound, and the amount of dust that it created was really minimal. The sound was fairly clear, with not a lot of bow noise in the background of my playing. I gave the corresponding cake of cello rosin to Megan, and she had the same response, so, all in all, this one is a keeper! 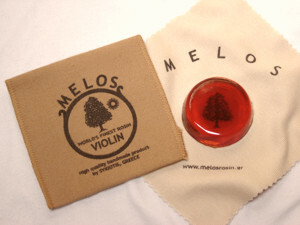 Actually, Melos has also started making a rosin specifically for violists, which is almost unheard of! Violists have always sort of been in no-man's land, having to decide whether to use violin rosin or cello rosin. Both have their benefits, so it really comes down to what kind of sound and feel they want. 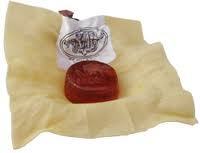 Another rosin that I have tried that I really love, especially for it's finer qualities, is the Sartory rosin. I find Sartory to be a great rosin for those times when I might need a more delicate sound, or when I am auditioning and might be bothered by too much background bow noise in my ear. It is very finely milled, creates some dust, but not a lot, and has an extremely smooth sound! It is not at all punchy in quality, but is finer and can help to create more lyrical, smoother playing. It also comes in a beautiful wood box that impresses your stand mates and makes a great gift. A quick note on cello rosin. Other than the Melos, Megan has been a big proponent of Bernardel rosin. She finds this to have a perfect amount of grip, with an excellent tone quality for cello. Smooth, yet forceful, which, believe me, can be a difficult combination to find! There are some people who have allergies to the dust that is created by rosin. In the past, they would have just been forced to deal with that, but these days there is a great alternative for them. 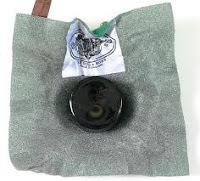 Clarity rosin, which was invented by Thomas Quinn, local Minnesotan and a friend of ours at the shop, is a hypoallergenic rosin that creates virtually no dust. 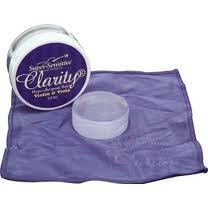 If you have difficulty with allergies, give Clarity a try! It is available in violin, cello, and bass versions, and is now being made in different colors as well! If you have found your perfect rosin, by all means, drop us a line and let us know which one it is and why you like it so much! I am sure that I will be updating this post in the future, but this is just a quick sampling of what is out there. As far as putting rosin on your bow, I always use long, smooth strokes along the hair, with shorter, quicker strokes at the frog and tip. Depending on what kind of rosin I am using, I will do this a few to several times along the length of the bow. I do not rosin my bow every time I play. I really find that, unless I am playing incredibly aggressive music for a lengthy concert or rehearsal, rosining my bow every few times I go to play is enough. Too much rosin, and all you are left with is a bunch of extra dust on the top of your instrument! If you feel like you need more grip or pull, instead of overloading your bowhair, try a different type of rosin or a darker rosin. Actually, you might find, as I have, that less is actually more, so don't be afraid to try it! (Or, if you are still having trouble, remember that you might be in need of a rehair!). And remember to clean the rosin dust off of your strings and the top of your instrument after playing. This will protect the varnish on your instrument and will help you to create a smoother sound! This was an absolutely wonderful guide! Thank you! I am picking up my violin (as it has been a while), and this is a great starting point. When I was in high school, they never really made a big fuss about the nuances of rosin types. I want to capture that SWEET, SMOOTH sound. I have a decent $200 bow, but my instrument is heavily lacking (beginner instrument). I have been playing for several years, but never made the instrumental upgrade. I am trying to rehair my bow, buy synthetic core strings, and use grand rosin to do whatever it takes to improve the sound and capture that extravagant quality. Thank you for this guide. I had not learned the difference between light and dark rosin, and now realize I should use both for different climates (I travel a lot). I'd like to hear your thoughts about steaming a cake of rosin. I've lived in very dry climates, where the rosin is so dry it's hard to get any on the bow. (obviously the instrument needs protection against harsh dryness as well). I don't remember the brand, but the rosin I tried this with comes in a little metal can instead of a cloth. I placed the can on a vegetable steamer with just a little water in the pan. I just brought the water to a boil and turned it off and let it sit covered for a couple minutes - not too long or it'll actually melt and overflow, and make the steamer and pan difficult to clean. When I took it out it looked like a new cake of rosin. After letting it set/cool for several hours the rosin seemed fresh and went on the bow with just a couple strokes. We're glad you've enjoyed our guide. You bring up an interesting topic! Andy and I thank you for a conversation starter. Rosin is hygroscopic, meaning it readily accepts and incorporates water into its chemical structure, so your method of steaming it strikes us as legitimate. By weakening the intermolecular forces between rosin polymers with heat and introducing gaseous water, you've created ideal conditions for chemical integration on top of the rosin's natural affinity for water. Smart! For the rest of you out there interested by this: Randy's method of steaming the rosin may have been effective because his rosin was dry to begin with. If you're looking to simply reshape your rosin, steaming it may not be the best route; it may become too moist and too "dark". We're also not sure about the flammability of rosin, so do be careful. Because Randy used moist conditions he may have avoided a problem. It's a common notion that "melting down" your rosin is doable, but few people actually do it because a new cake is cheap for as long as it lasts. In other words, be careful not to ruin your rosin, but be even more careful not to ruin your house. I have my great-grandfather's old, dried-up, cake of rosin. I might just give this a try for kicks and giggles (OUTSIDE). Thanks again! I am also brand new to violins, or in my case, fiddles. When my violin arrived, I had to take it to the local music store to be strung where I purchased a rosin. When I tried to rosin the bow, it didn't take, but we had another violin in the house with used rosin in it. I used it a few strokes and then went back to the new rosin. That's all it took to get the rosin started on the hairs. This article is my first exposure to the differences in rosins. I bought a cheap fiddle, so when I bought a bow, the bow costs more than the fiddle. With the cheap bow or the more expensive one, I am finding my songs sound very scratchy. I originally blamed it on the fiddle, but when I heard the same sound on my uncle's fine violin, I knew it had to be something else. 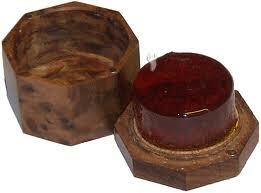 Next payday, I will be getting new rosin. Can anyone tell me if I need to clean the hairs from the old rosin, or do I just wait for it to work itself out? The rosin you are using will wear off with playing if you don't continue to put it on. After you've waited a little while to play off excess rosin, begin putting on some lighter rosin, and it will begin to cover the old rosin. Hope this works for you! 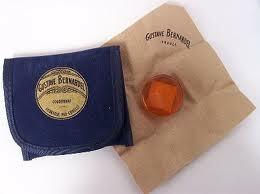 i have a cake of leon bernardel rosin, its very red, made in the earl 1900s. i have yet to see any dust on my strings or violin. the sound is so crisp and wonderful that i use as little as possible to make it last as long as possible.